King’s College researchers reported in the Evening Standard have studied air quality improvements in the “mini Holland” area of Walthamstow and found that from changing the streets alone, “the borough’s 265,000 residents [stand to] gain a total of 41,000 years of extra life if air quality continues to improve because of a fall in traffic in residential areas”. Poor air quality – in this area, mostly from exhaust pipe emissions – is still killing London kids early, but the changes in Walthamstow alone are already helping. Isn’t that incredible – it’s the air, it moves around – yet the local effects can be improved measurably! The next dimension to be studied is active travel, now made hugely easier by the comprehensive car-freeing and slow speed (20mph) initiatives. 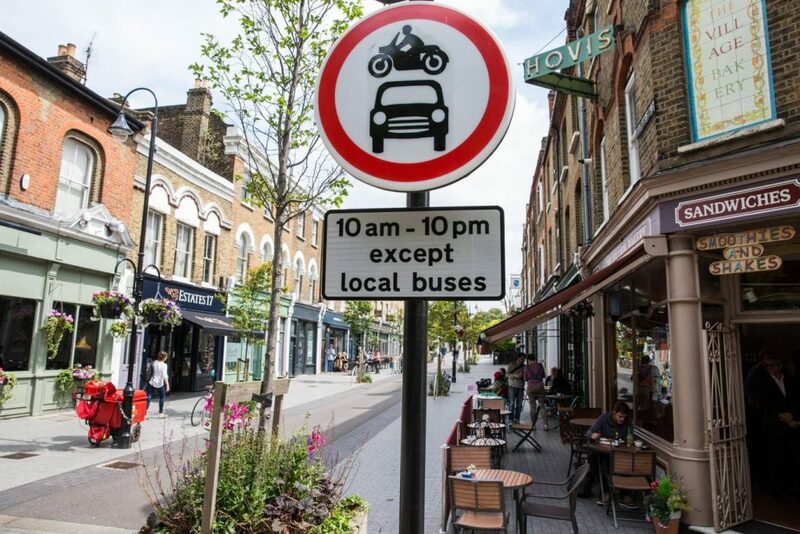 Orford Road in Walthamstow – closed to all vehicles other than cyclists and local buses between 10am and 10pm. Nice. Anyone can now safely cycle, walk, scoot to school, to the cinema, to the pub to see their mates, and to the local shops. 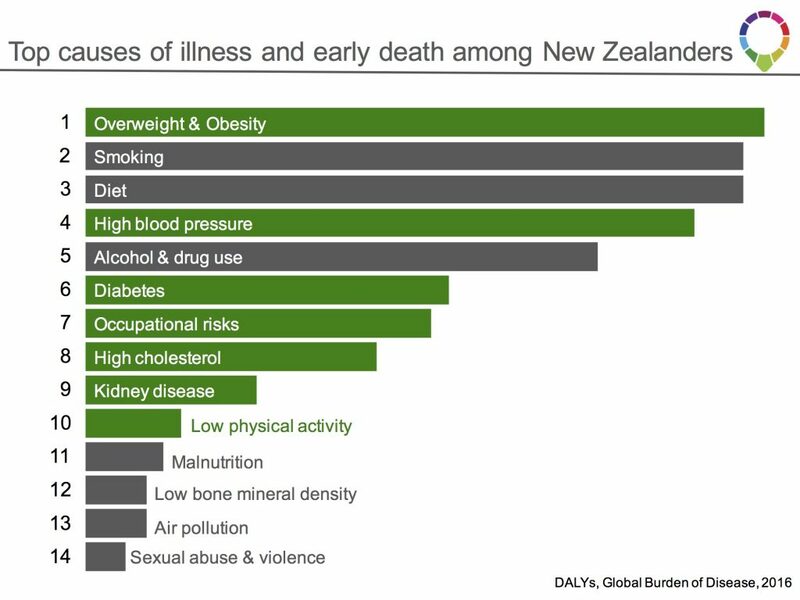 It’s not yet been studied but given that physical inactivity is the single biggest killing factor in the UK (like NZ!) we’re looking forward to seeing the numbers. 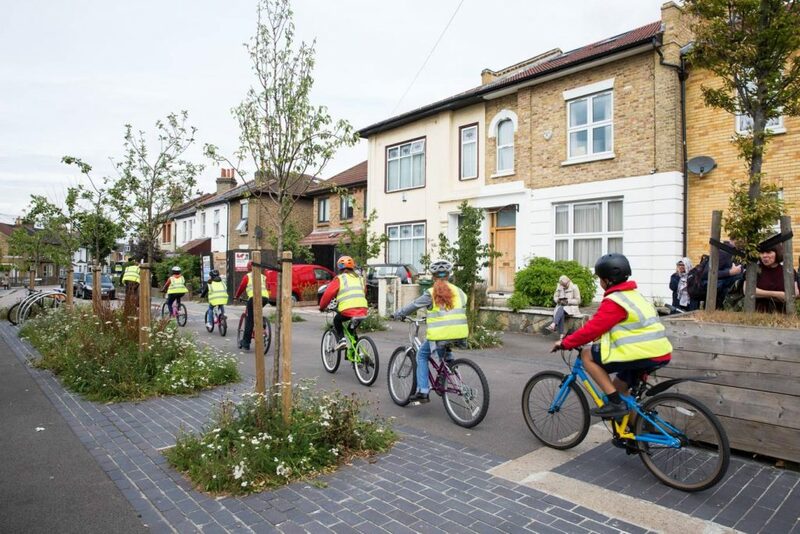 It’s worth remembering that this is the very same “mini Holland” (so named because they took the idea from Dutch woonerfs or “living streets” where cars are guests) that saw upstanding citizens apoplectic with rage, for years. There were street protests, people chaining themselves to things, wave after wave of vitriolic letters to the editor, Facebook protest groups, contrary election campaigns, the works. “In reality, the ongoing animated chatter about Lime e-scooters, already used in numerous cities globally, is an extension of a much wider debate about how we should get around our inner cities, and perhaps even the centres of our larger towns, in future. Interesting, and quite a contrast from urban NZ. The Waltham Forest borough packs its 1/4 million+ population into just 38 square kilometres for a population density of about 7,300 people per square kilometre! In comparison the population density for the urban areas of Wellington averages about 900 people per square kilometre. True… but i don’t see the full logic- So which bits of Walthamstow loveliness does this mean we can’t have in NZ?